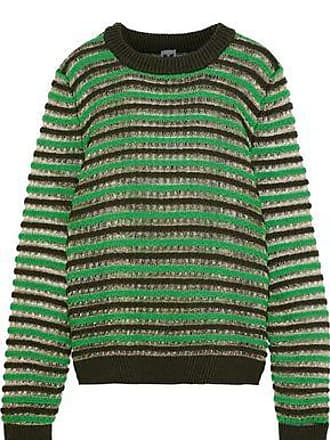 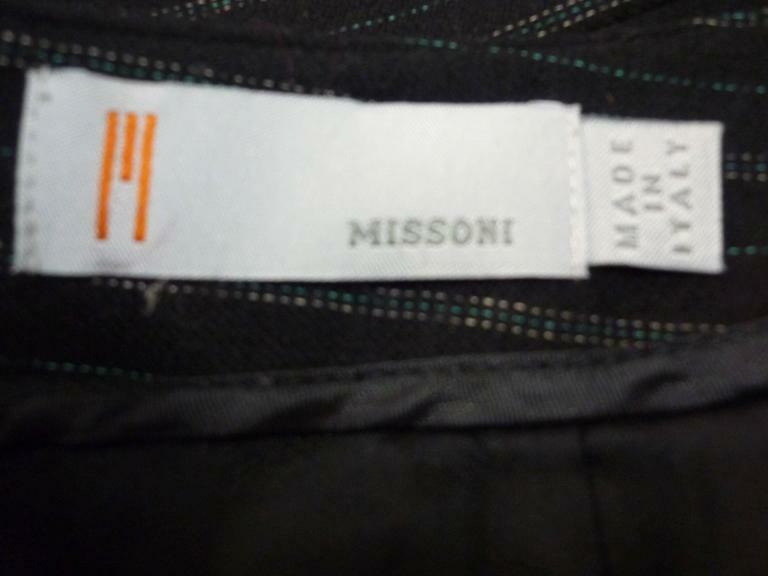 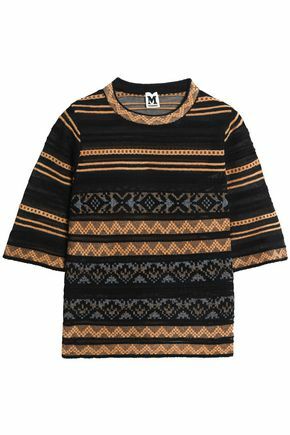 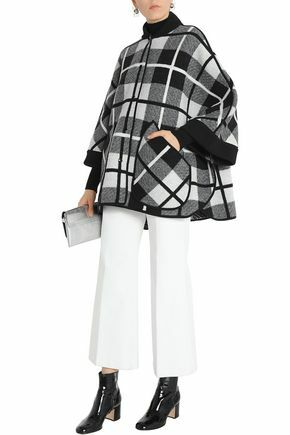 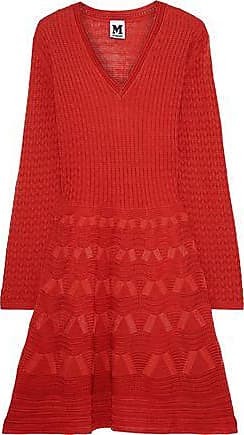 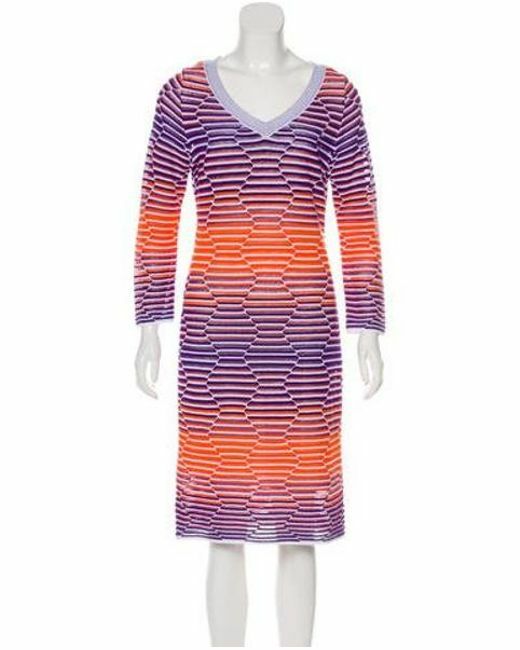 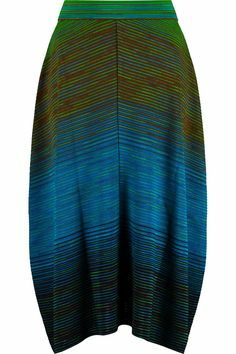 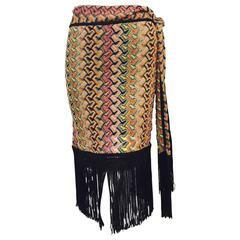 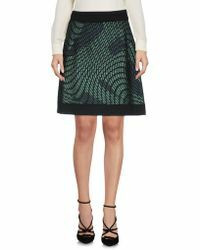 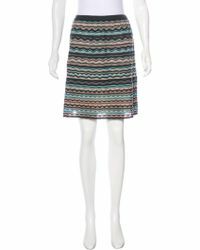 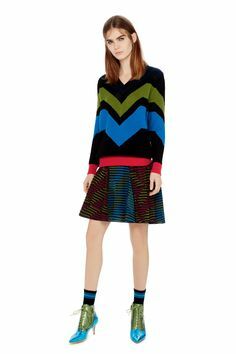 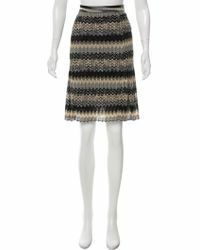 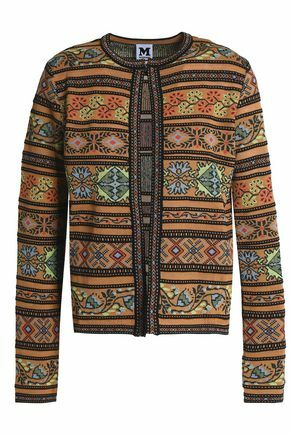 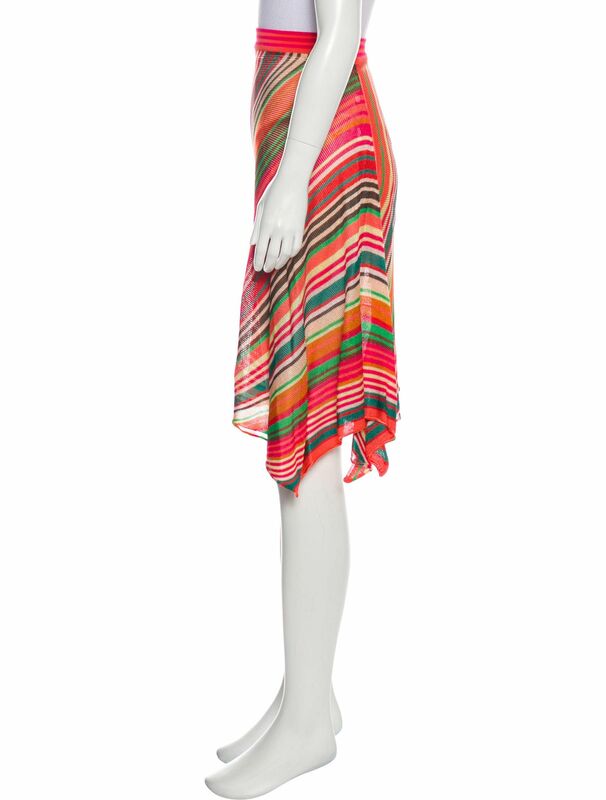 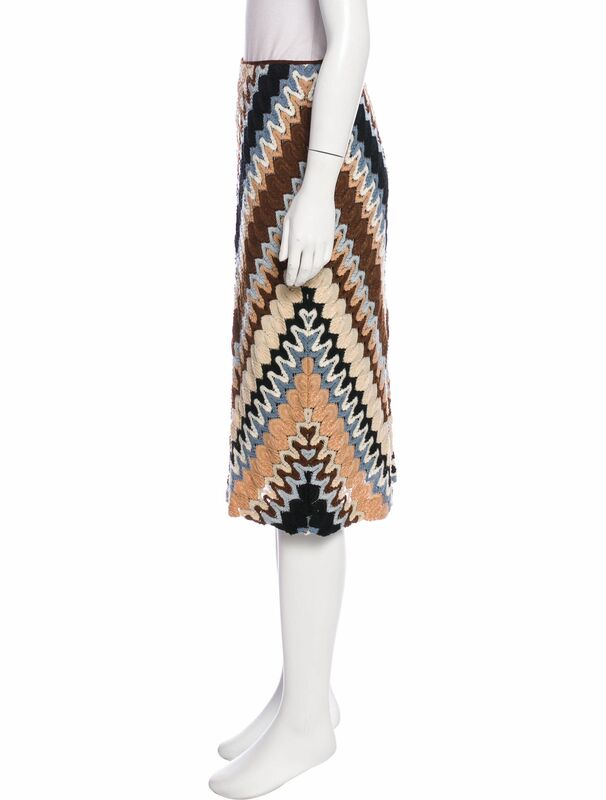 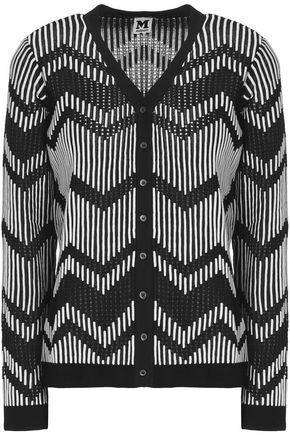 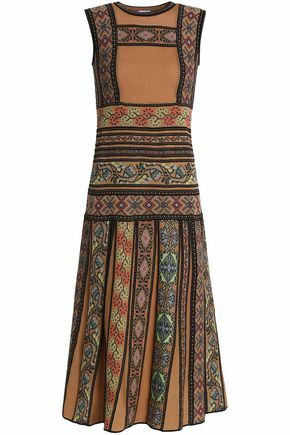 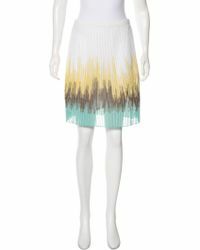 Multicolor Missoni knit knee-length skirt with abstract pattern throughout and elasticized waist. 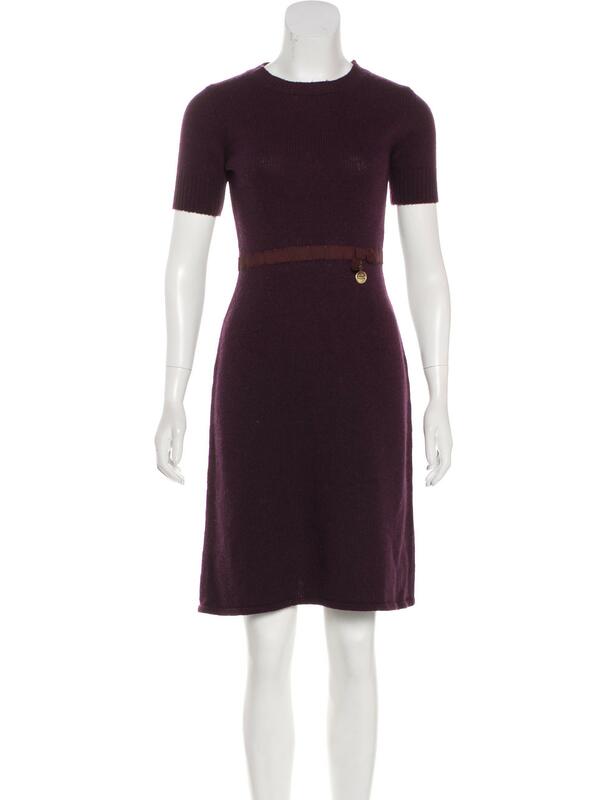 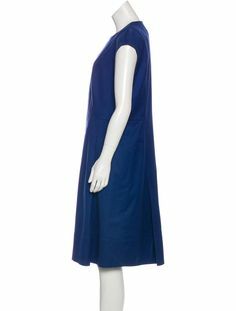 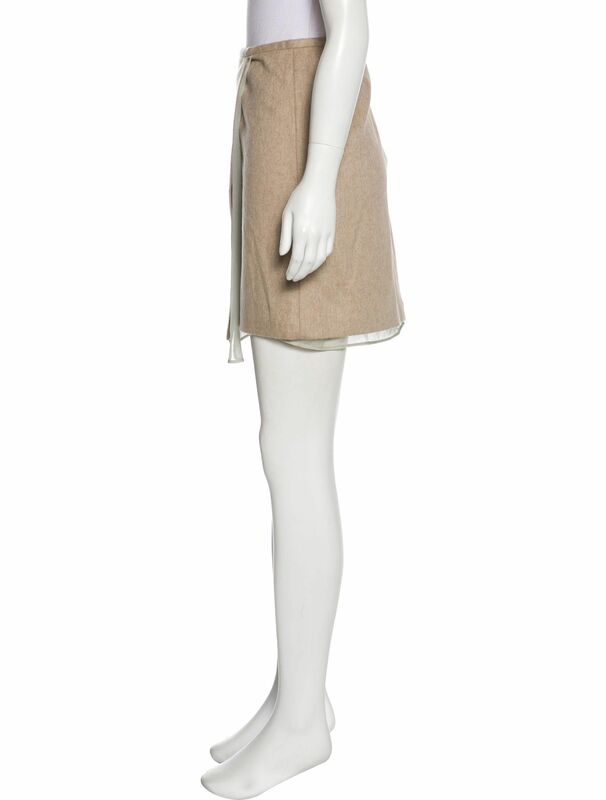 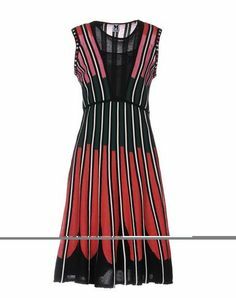 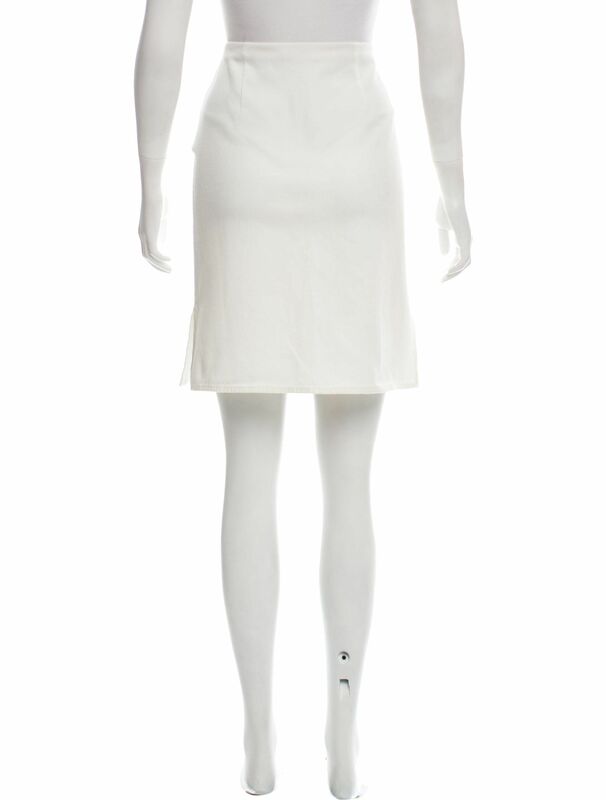 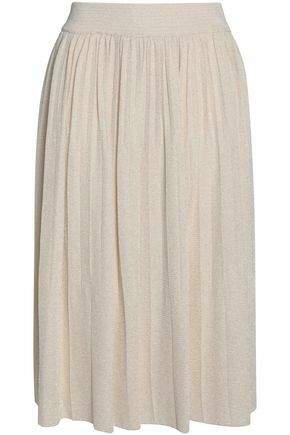 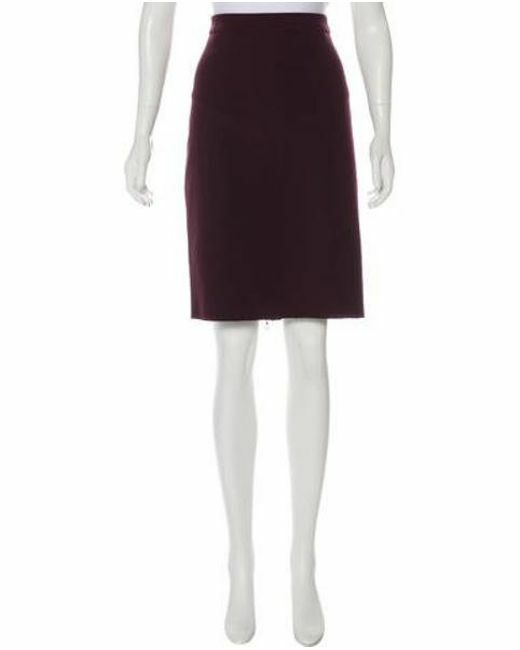 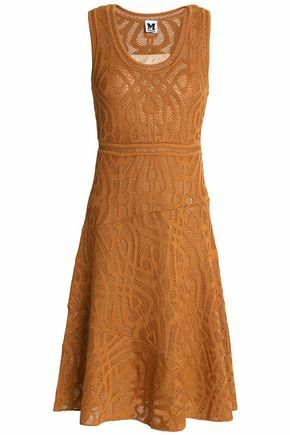 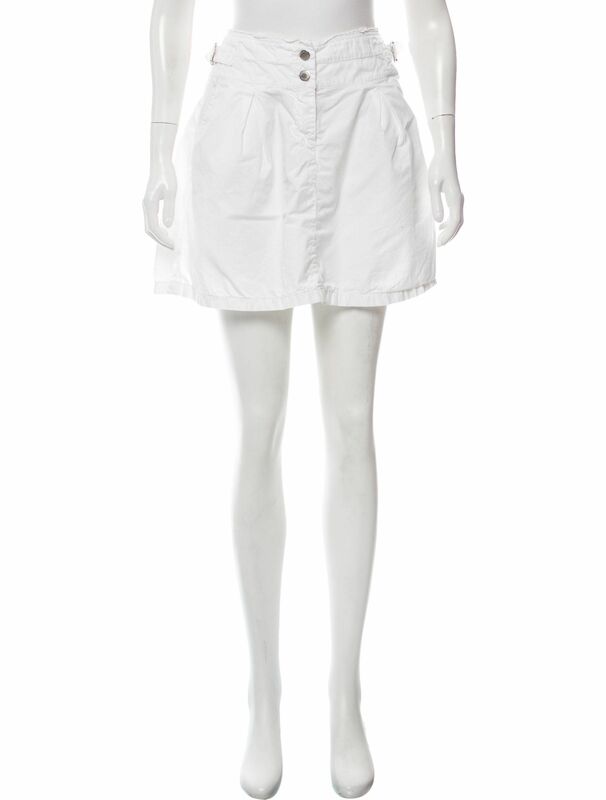 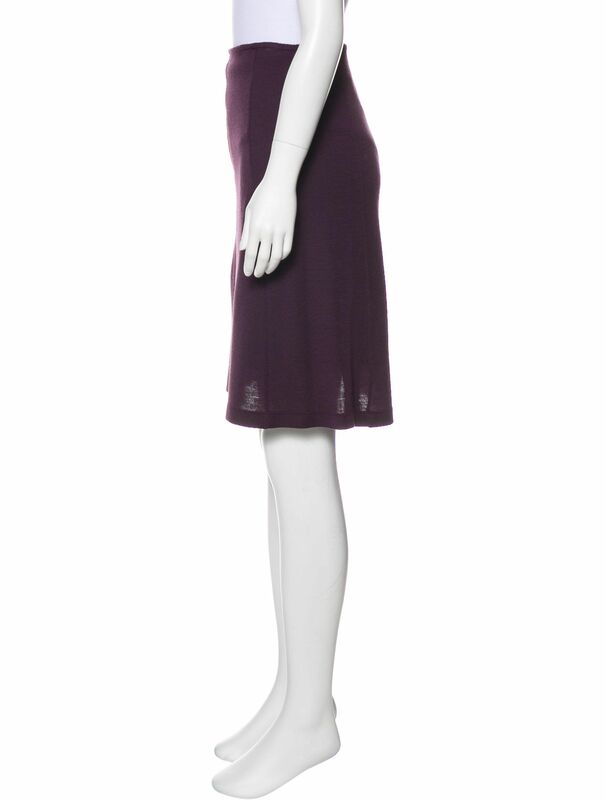 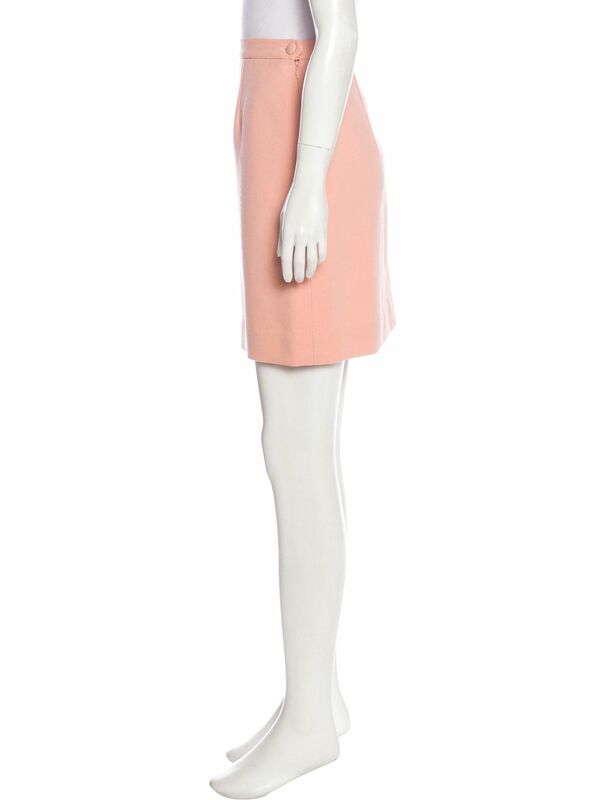 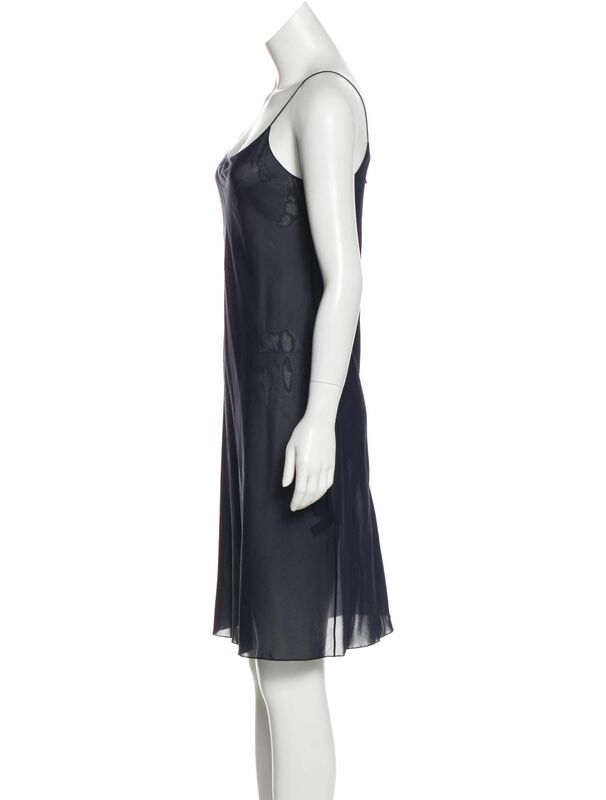 Blue Ralph Lauren Purple Label sheer silk knee-length dress. 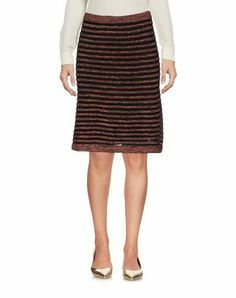 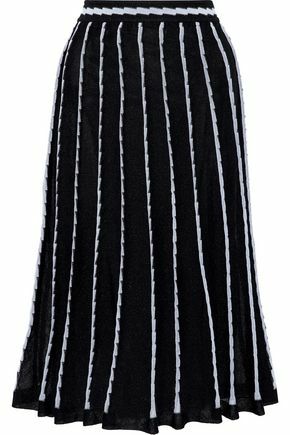 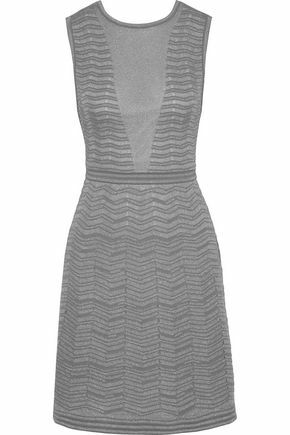 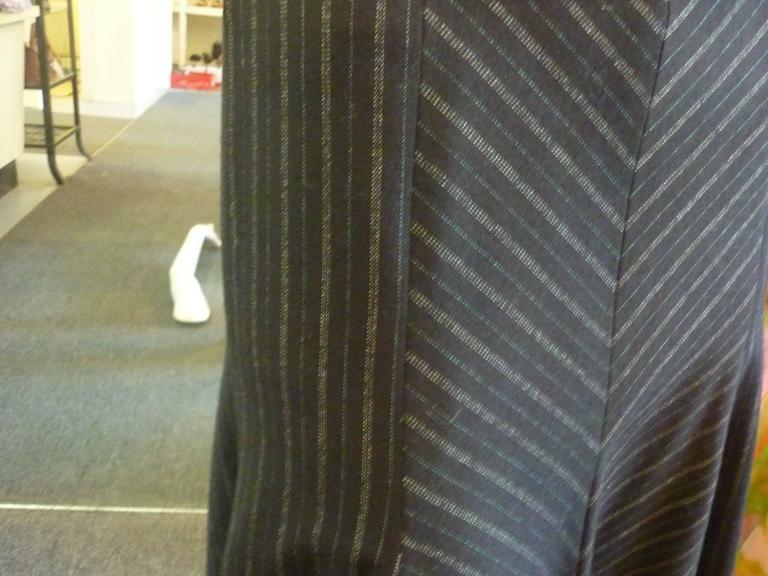 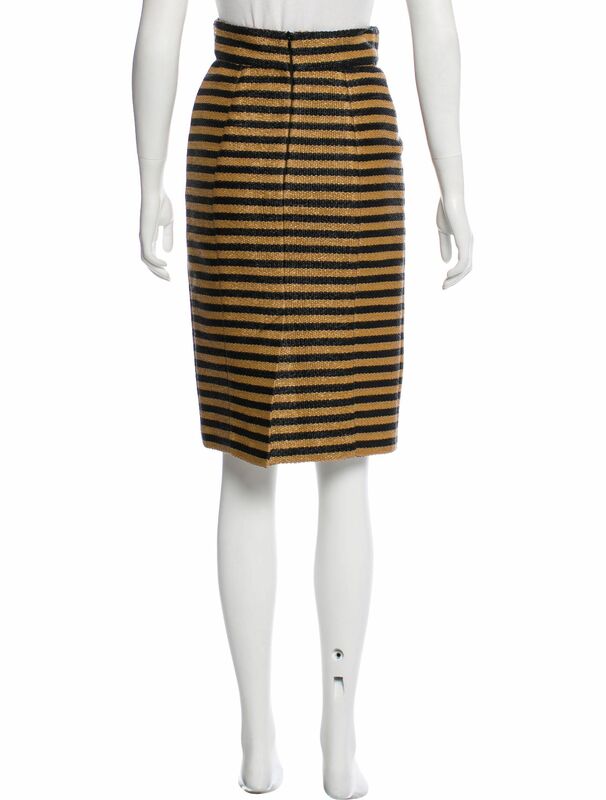 Charcoal MaxMara virgin wool pencil skirt with pinstripe pattern throughout, vented back and concealed zip closure at center back. 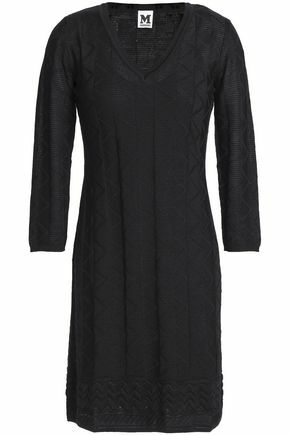 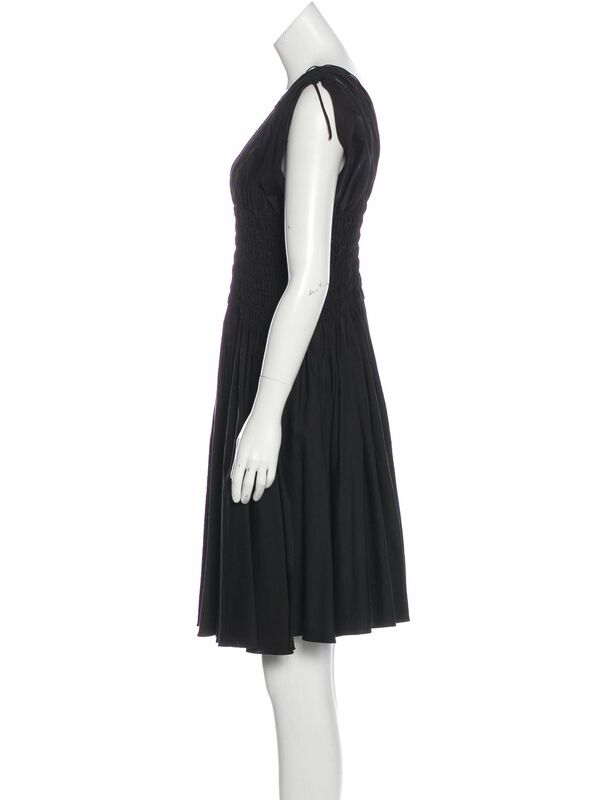 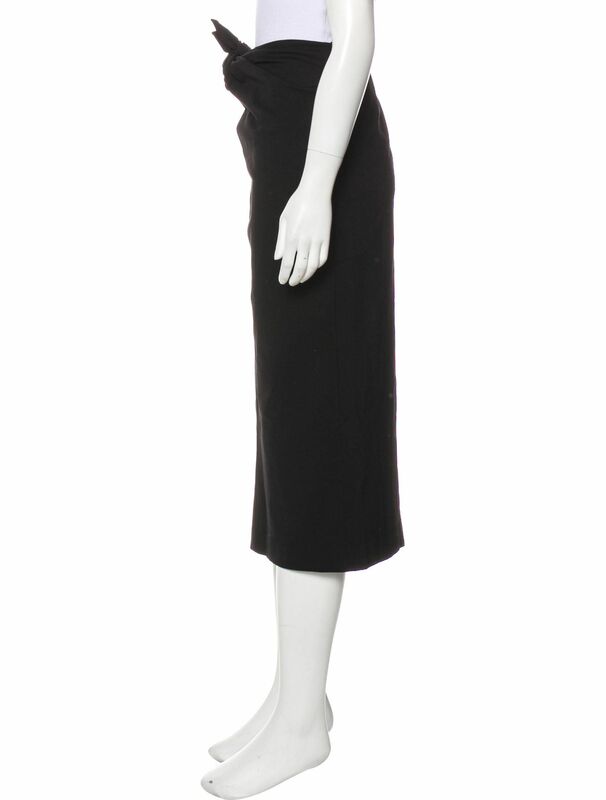 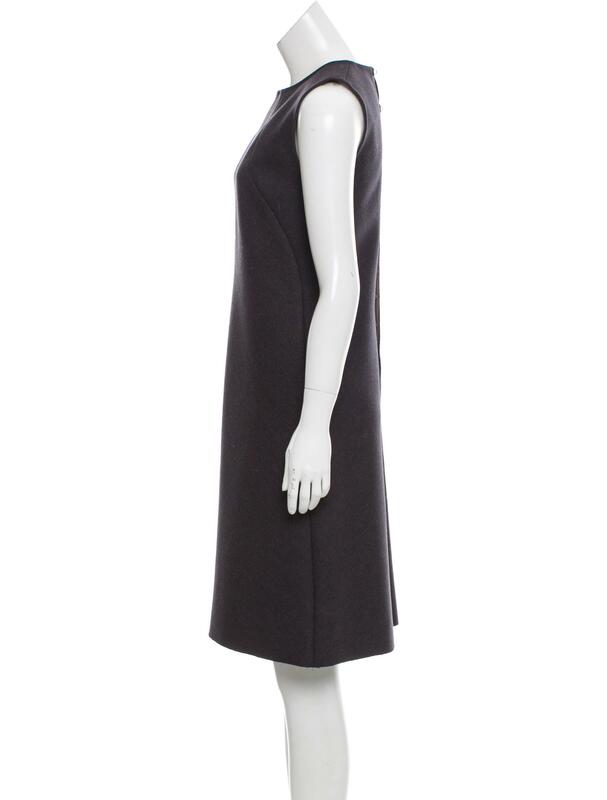 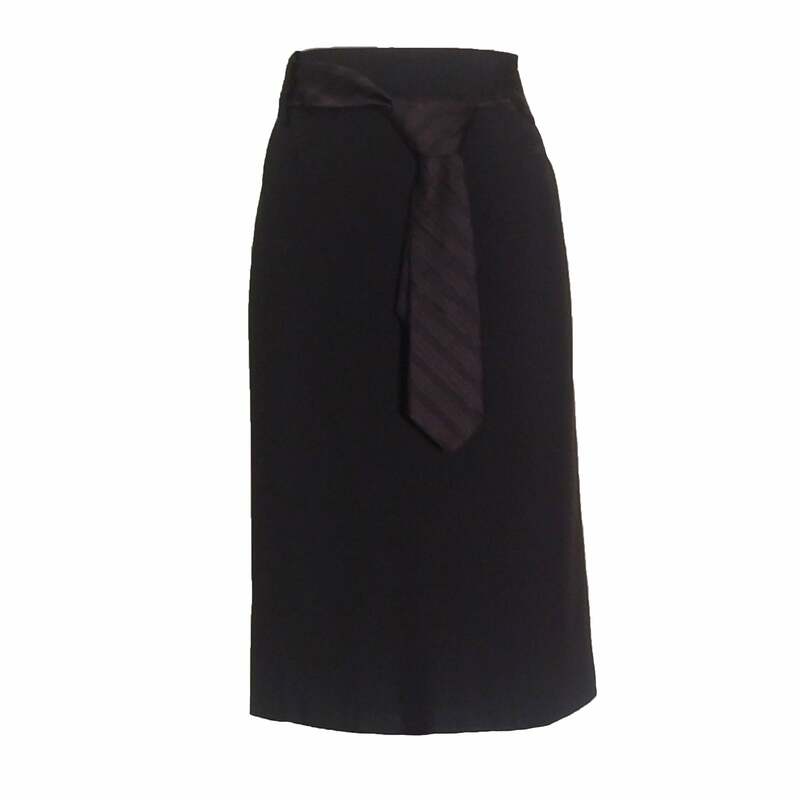 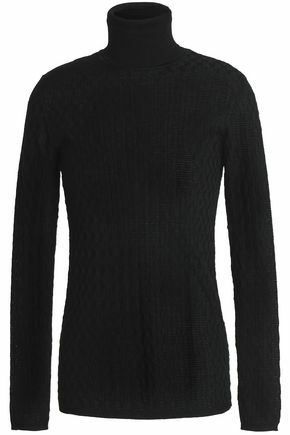 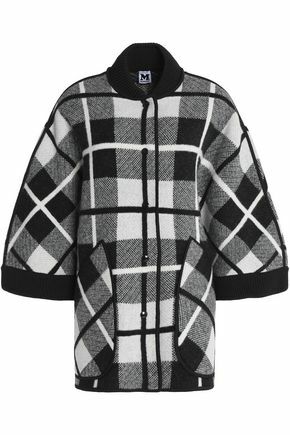 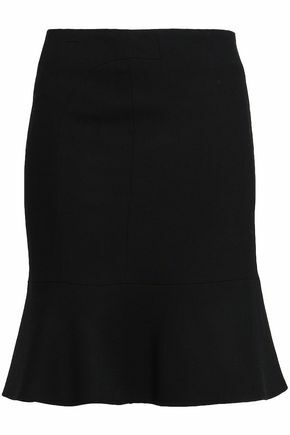 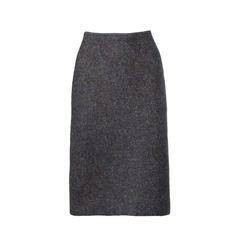 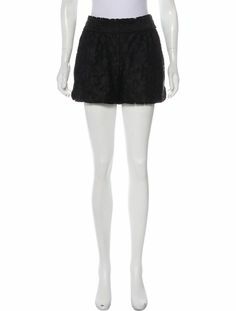 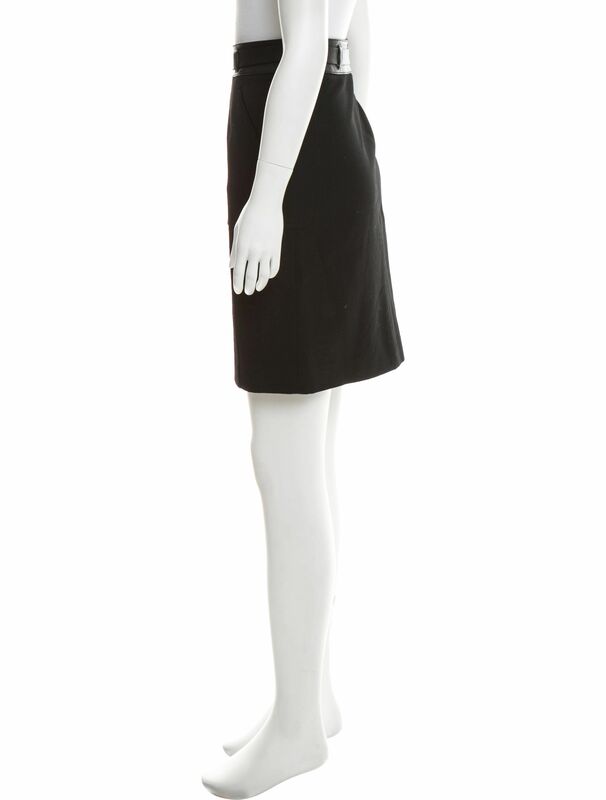 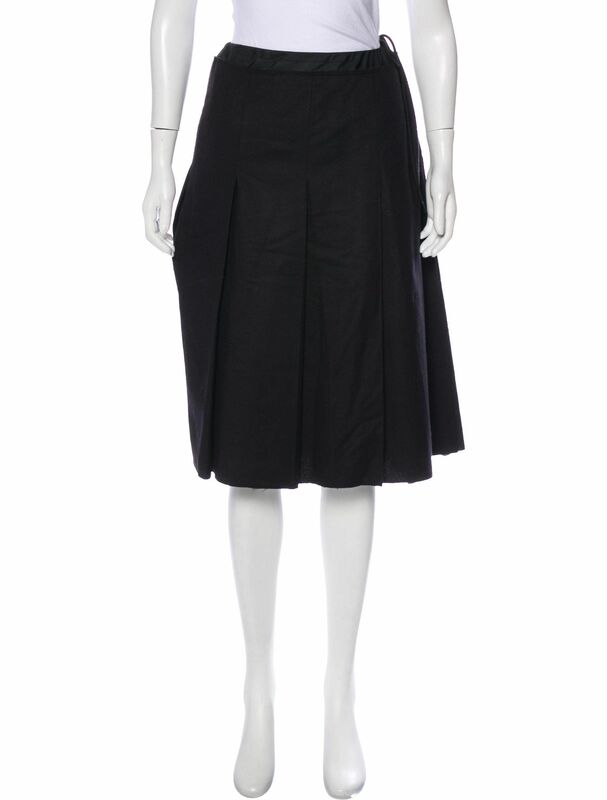 Black Marni knee-length wool-blend skirt featuring tonal stitching throughout, dual pockets at hips and zip closure at center back. 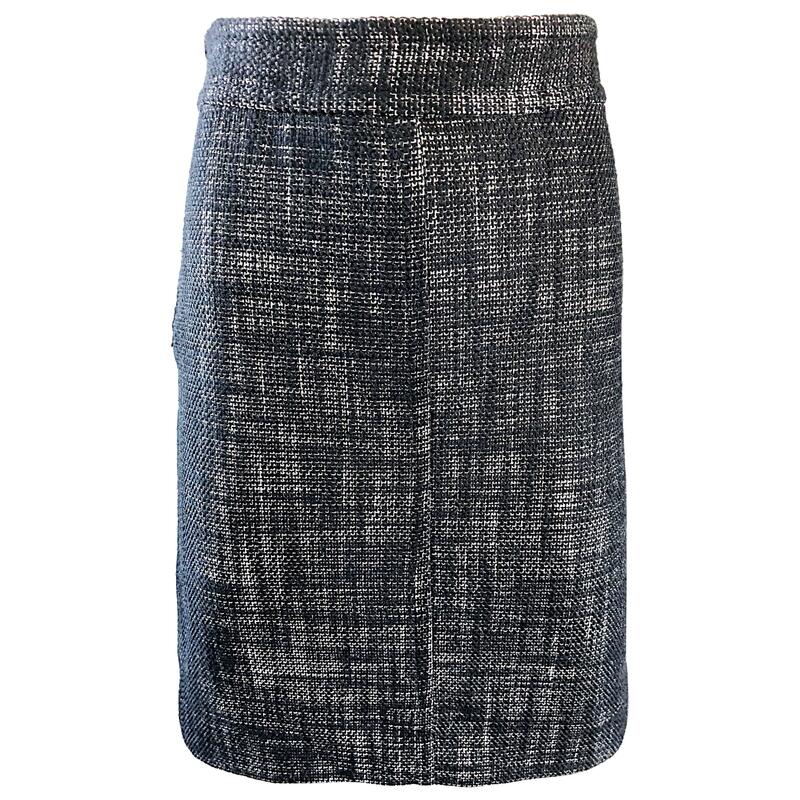 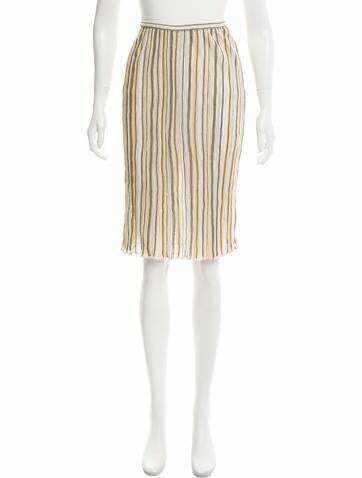 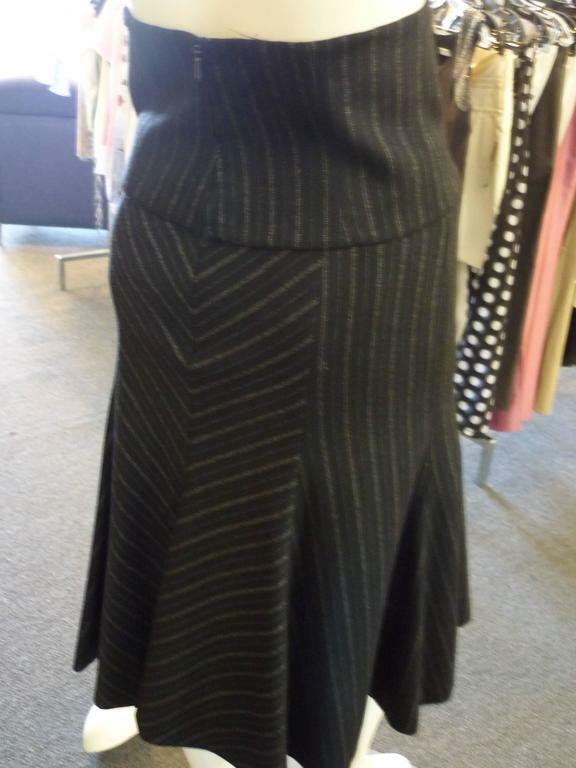 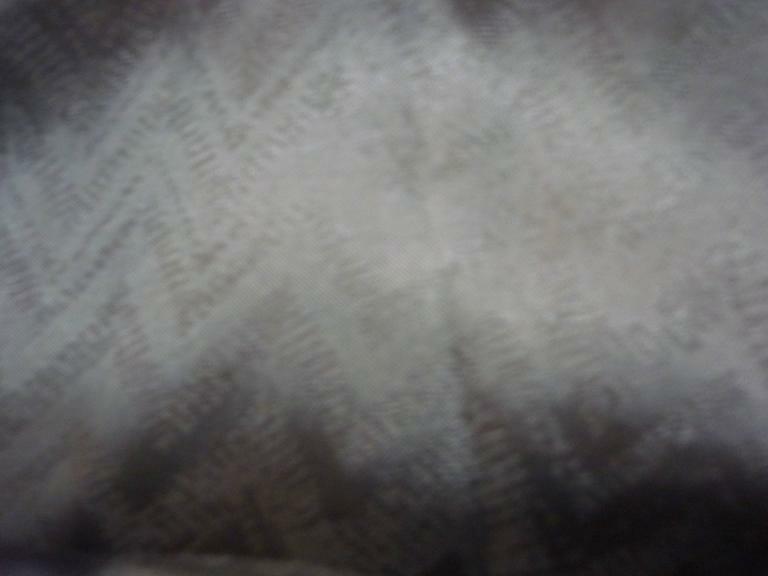 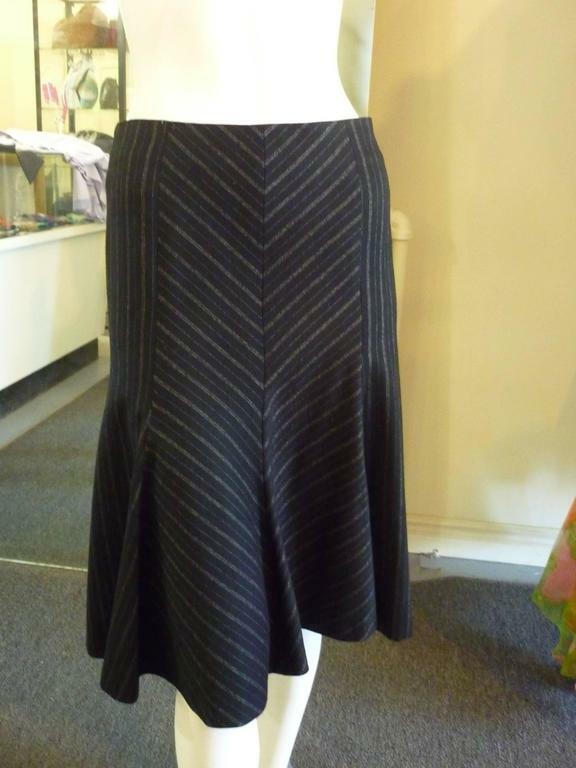 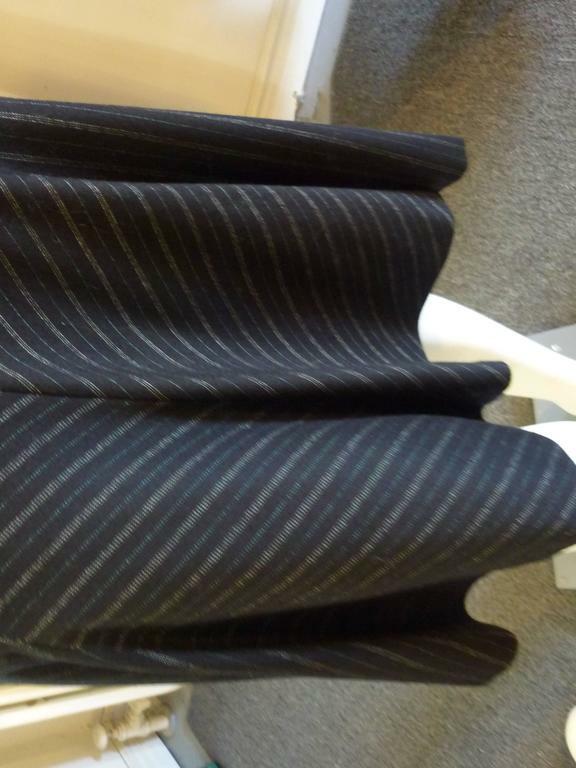 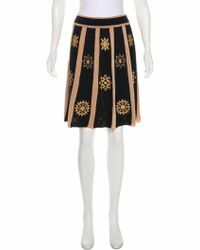 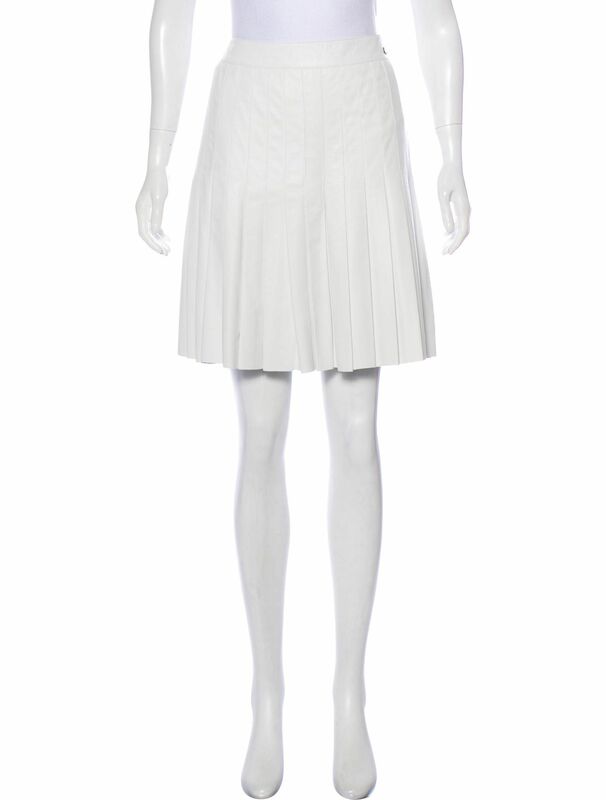 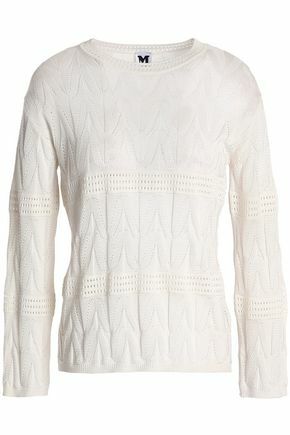 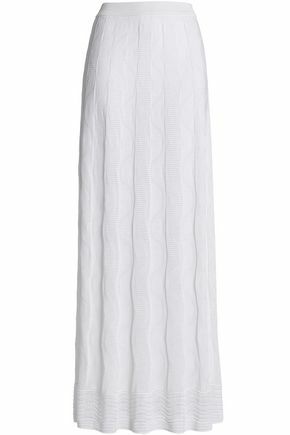 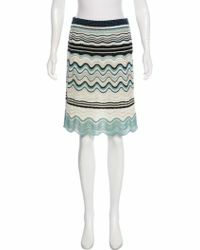 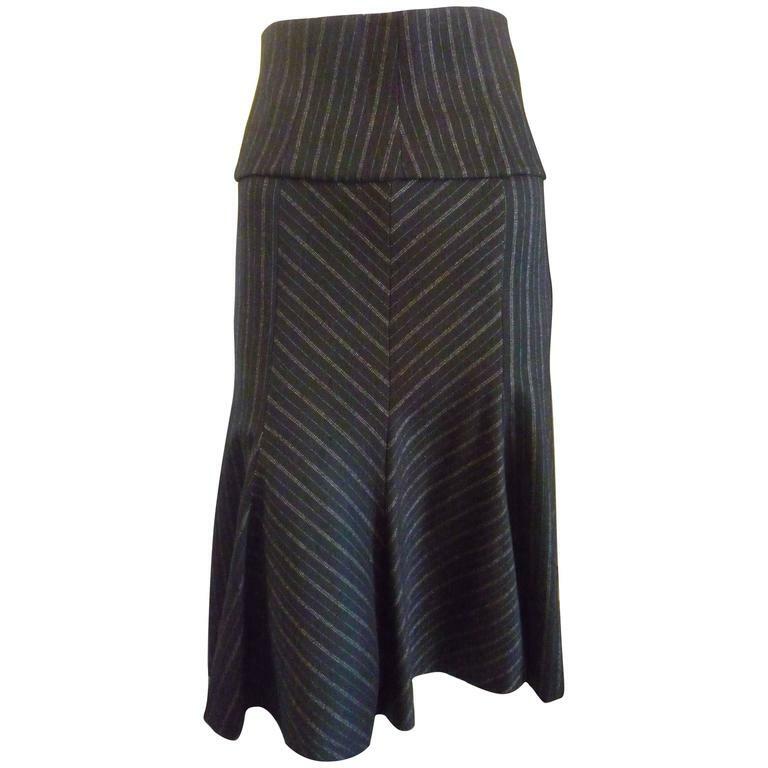 This a-line skirt with godet bottom, has a chevron and stripe pattern.